Lately, probiotics have become pretty well-known in media health reports as crucial bacteria and yeasts that thrive in, and benefit, your digestive system. Unlike the bad bacteria that can cause colds and other diseases, probiotics are the good guys; the beneficial bacteria that are necessary to maintaining good health. Probiotics help treat irritable bowel syndrome, infectious diarrhea, (potentially) some skin conditions, as well as aiding oral health. 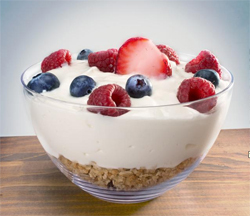 They’re often found in Greek yogurts and can also be ingested in supplement form to help maintain balance in your gut. While plenty of research shows their value in keeping your gut healthy, there hasn't been enough research looking into their overall health benefits. But now scientists are beginning to grasp what those are. 5 Ways to Unwind in 60 seconds!